Our Citrus Herb Hydra Clean Shampoo is strong enough to lift stubborn residues. It’s great for use on normal to oily hair, or if you’ve noticed that your favorite styling products just aren’t working like they used to. For dry, over processed hair, occasional use is recommended to reduce the buildup of old styling product. Our Citrus Herb Hydra Clean Shampoo is formulated to deep clean your, leaving it free of everyday dirt, grime, and styling product buildup. Our Citrus Herb Scent will start your day off right with it’s Bright Citrus notes and exclusive Essential Oil Herbal Blend. 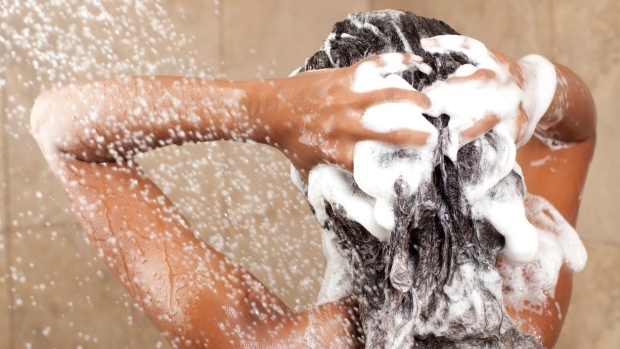 Formulating a shampoo without the use of Alcohols, Lauryl or Laurel Sulfates is not an easy task. To appreciate this innovative shampoo, you must first understand the limitations of most "Sulfate Free" formulas. In shampoos (and all shower gels and washes), Sulfates are the glue that holds the formula together. They are the cleansing and lathering agents that allow the conditioning agents in the formula to remain viscous and stable. Virgin Organic Argania Spinosa (Argan) Nut OilArgan Oil is exceptionally rich in natural Vitamin E, Omega 9, Omega 6, rich in phenols, phenolic acid, carotenes, squalene, and essential fatty acids. It is excellent for locking in moisture and improving shine and luster. Argan Oil has been shown to penetrate the hair shaft and almost instantly improve follicle elasticity, and increase nourishment. We classify this shampoo as a clarifying cleanser as its surfactant to water ratio is higher than most shampoos, making it strong enough to lift stubborn residue and buildup. This formula is great for use on normal to oily hair, or if you've noticed that your favorite styling products just aren't working like they used to. For dry, over processed hair, occasional use is recommended to reduce the buildup of old styling product. The end result is a shampoo that clarifies without stripping your hair of its natural oils and that also contains beneficial ingredients to add shine, moisture and antioxidants without weighing down hair. Decyl Glucoside is far less likely to cause skin irritation than other types of surfactants leading to its ever-increasing popularity. It is a non-ionic surfactant and also a great foaming agent. Decyl Glucoside is made by combining the glucose sugar found in cornstarch with the fatty acid decanol found in coconut. It is even considered mild enough for use in shampoo for children and is originated from natural renewable sources.